There are many critics of Misbah Ul Haq in Pakistan and wants him to be removed from captaincy. even Pakistani Cricket fans shares Jokes about Misbah on SMS and Social sites but it seems like that Pakistan Cricket Board Chairman Zaka Ashraf loves Misbah and wants to keep him captain for long term. While talking to media on Saturday PCB Chief said that there are no plans of removing Misbah from the captaincy of any format. Before there where reports that different captains can be made for different formats but now Zaka Ashraf has rejected these rumors. 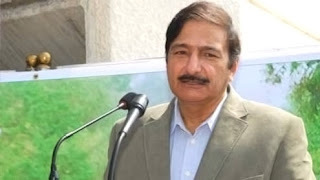 Zaka Ashraf also said that Pakistan is now a safe country and International teams should come to Pakistan for playing Cricket.